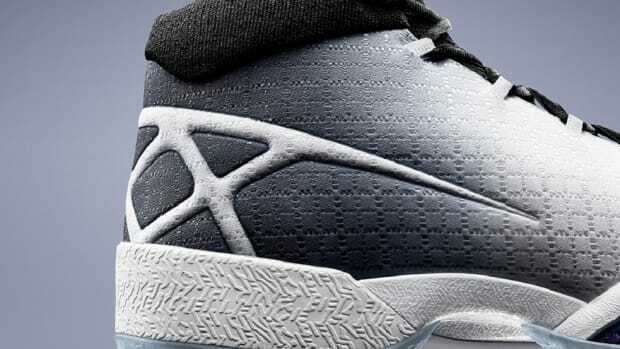 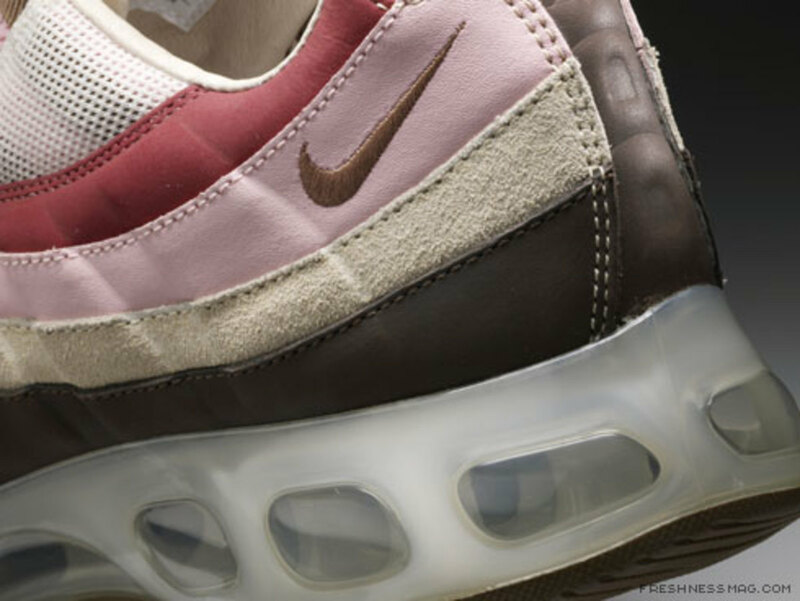 Design innovation at Nike is about playing with your history and taking it further. 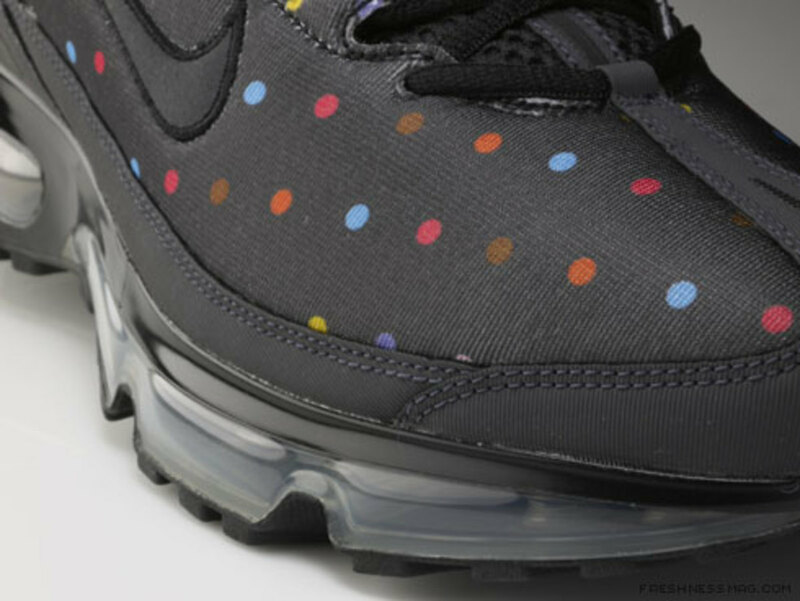 The uppers of the legendary Air Max shoes became the canvas for something remarkable. 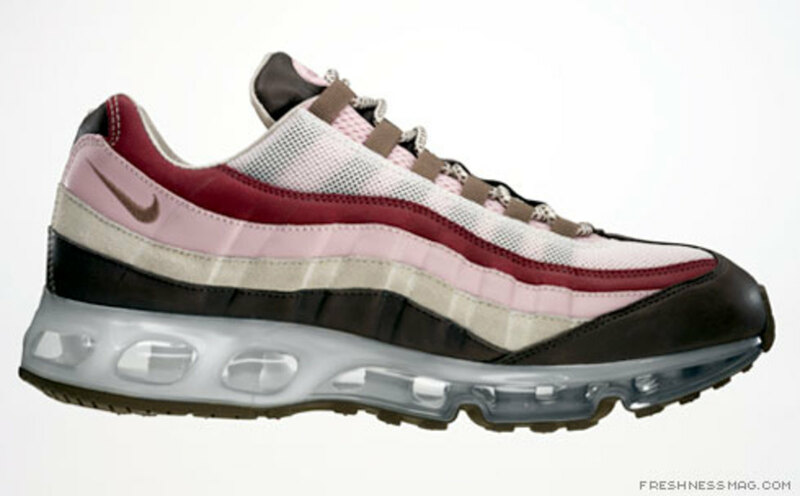 Throughout its history, Nike has worked with several collaborating design partners. 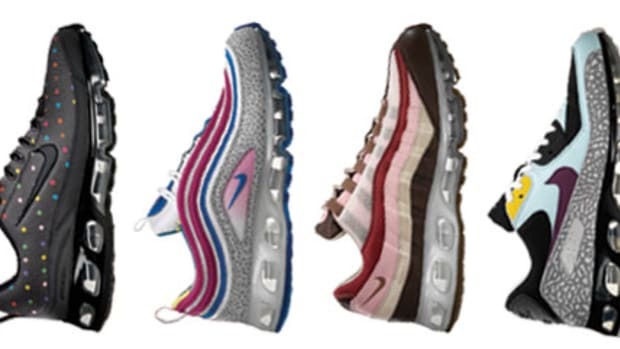 One of these collaborations is the Clerk Packs in conjunction with select retail partners worldwide. 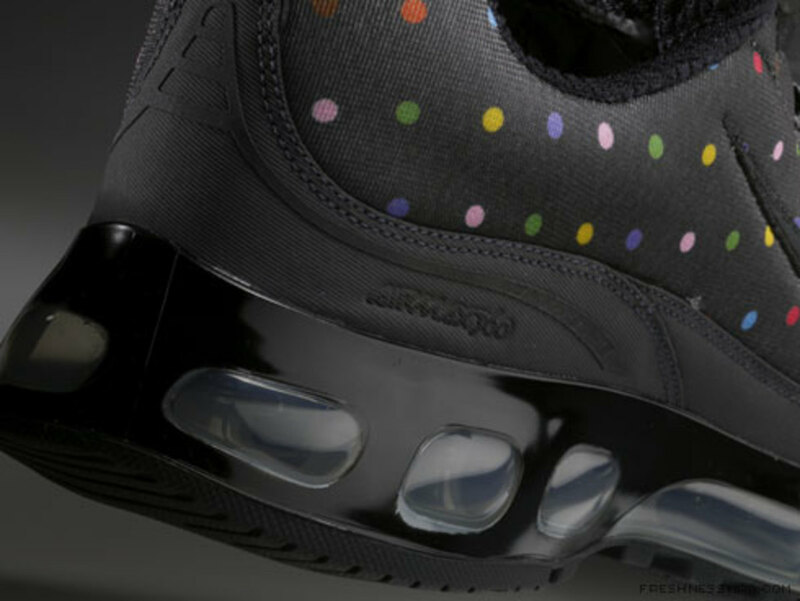 Leyva and Clarke selected 4 of their favorite clerk pack colorways and applied them to the ï¿½One Time Onlyï¿½ silhouettes. 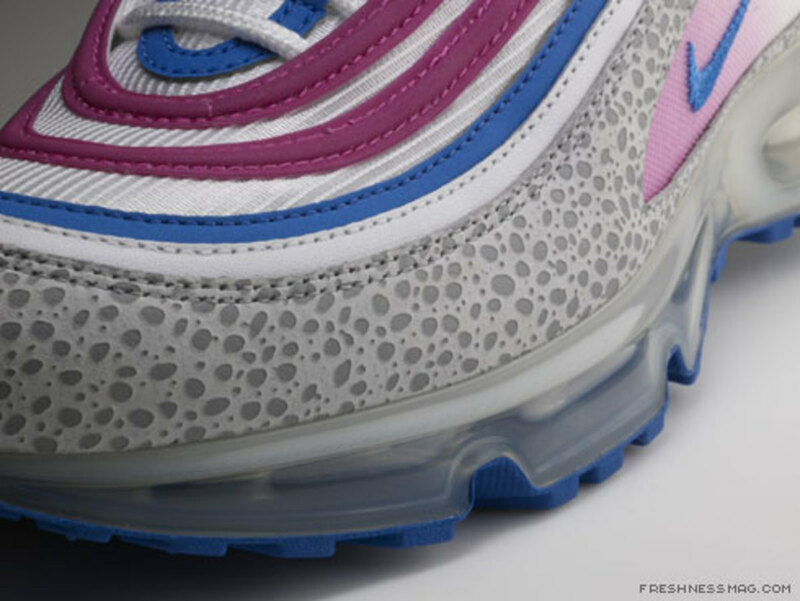 They also made use of the identical materials that were originally applied on the Clerk Pack models. 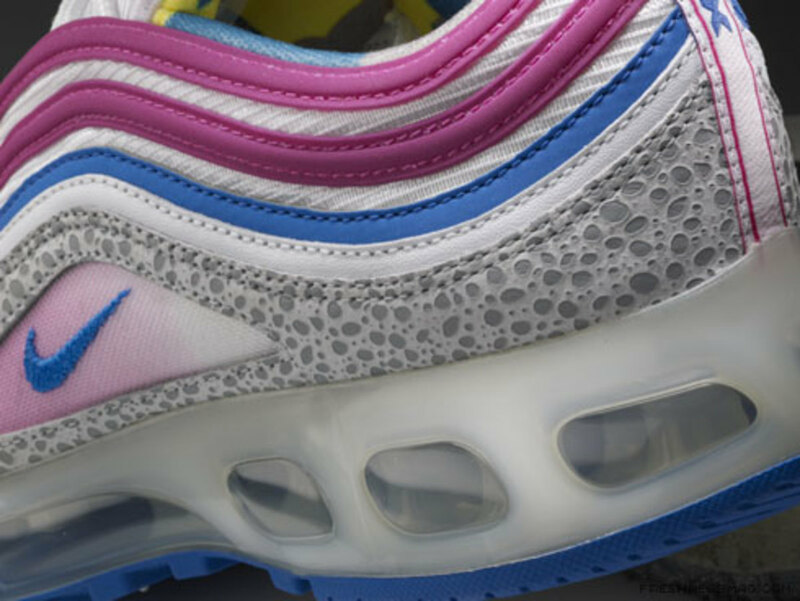 The Foot Patrol Air Stab colorway decorates the Air Max 90.The Air Max 95 takes its bacon colored make-up from the Daveï¿½s Quality Meats Air Max 90. 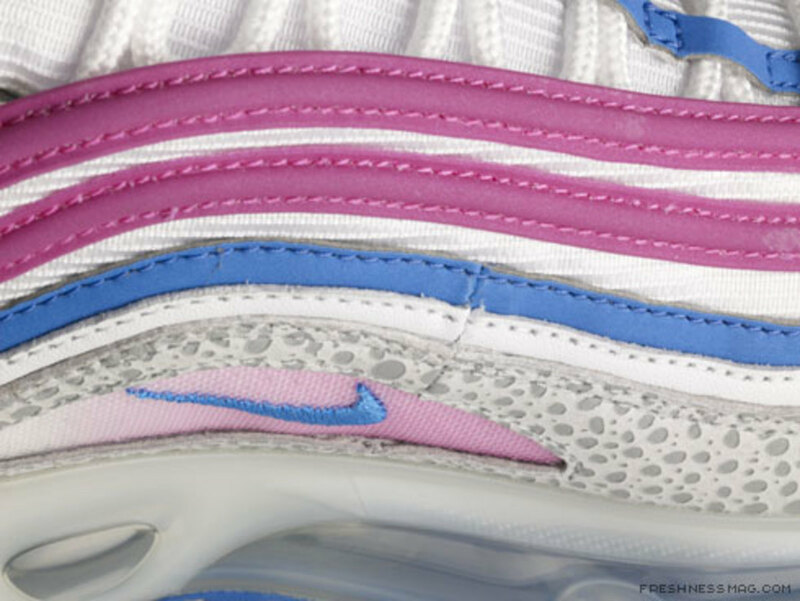 The vibrant Air Max 97 uses the Union Stores Air Force 180 color picking. 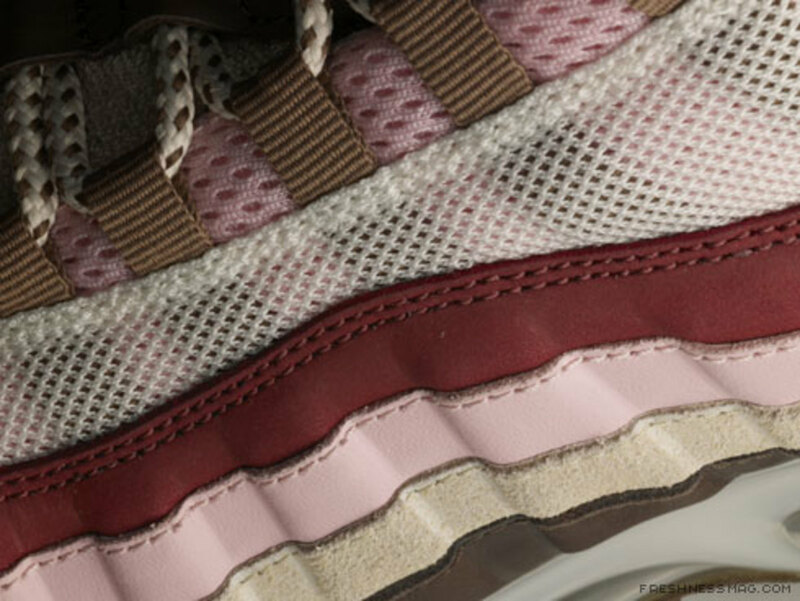 Each example makes use of the identical materials that were sourced for the original Clerk Pack models. 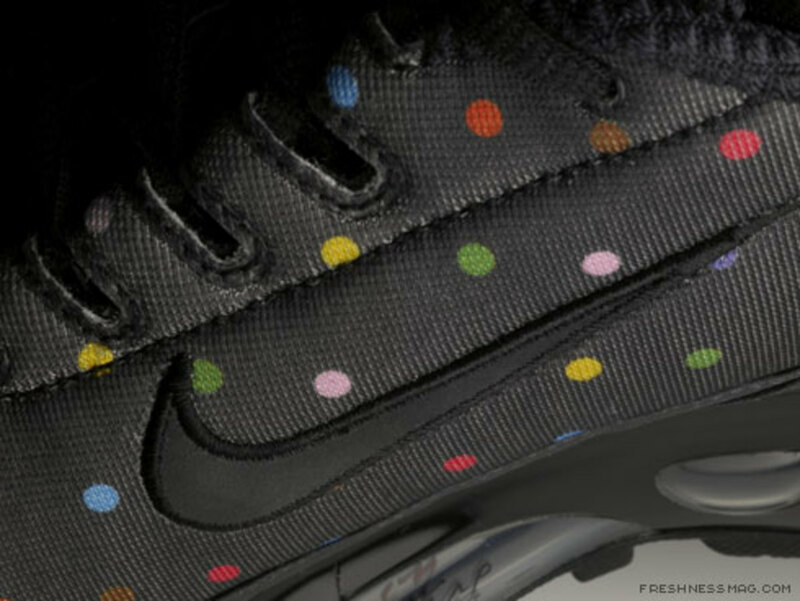 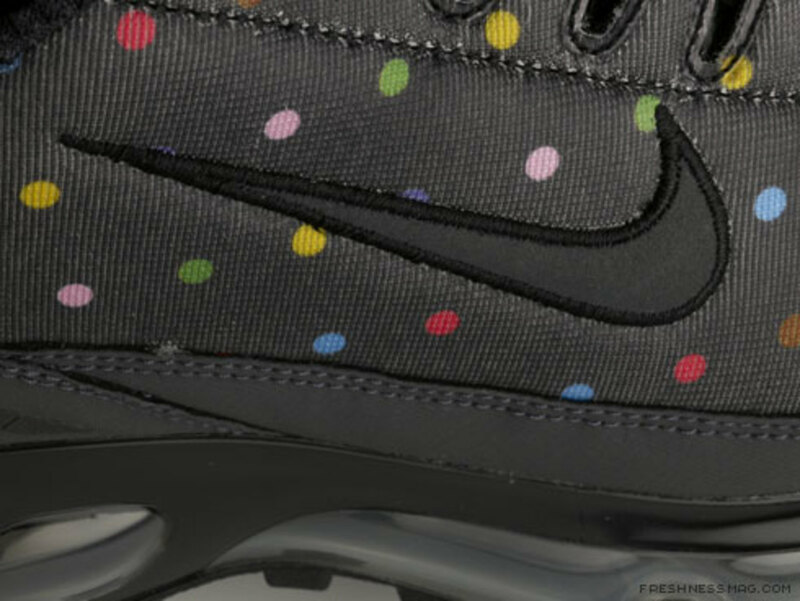 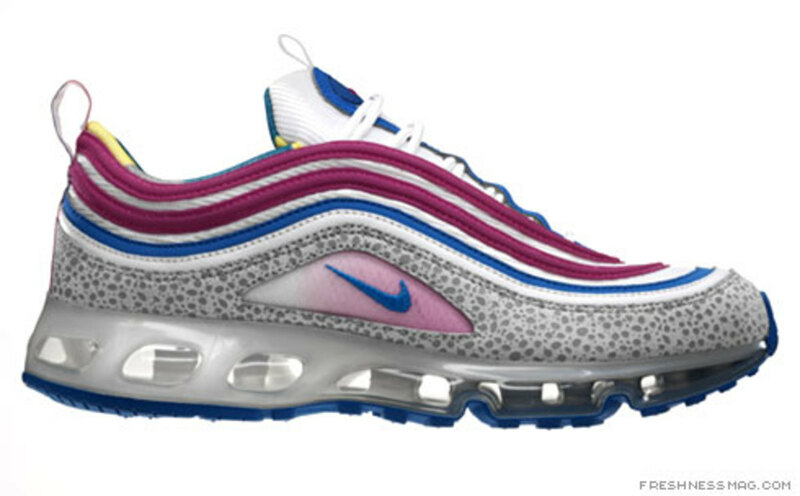 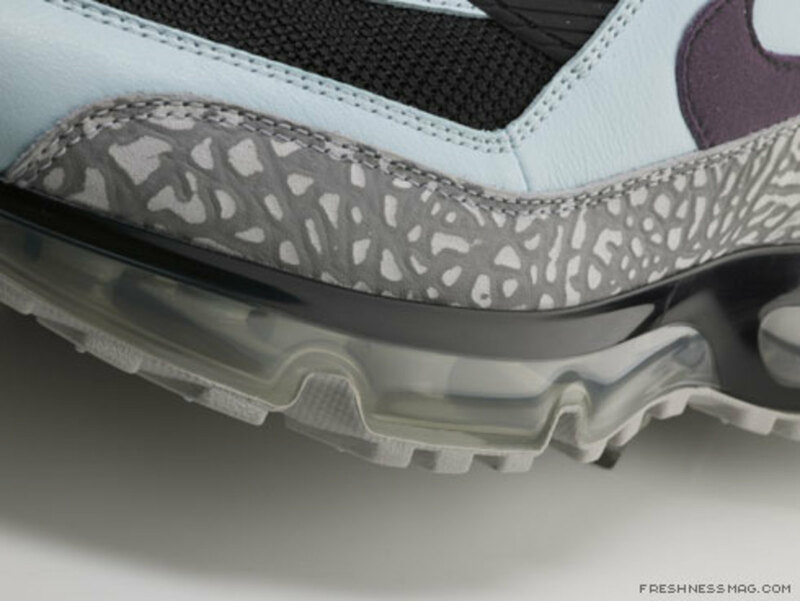 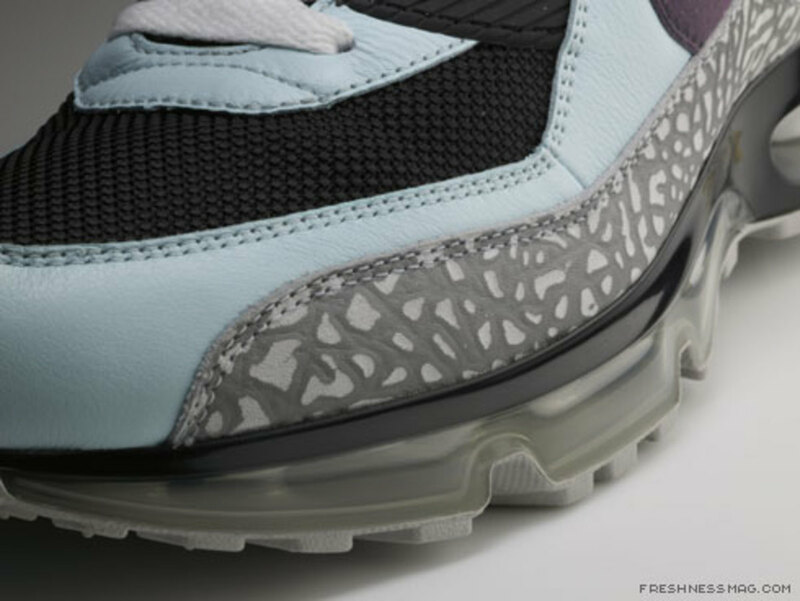 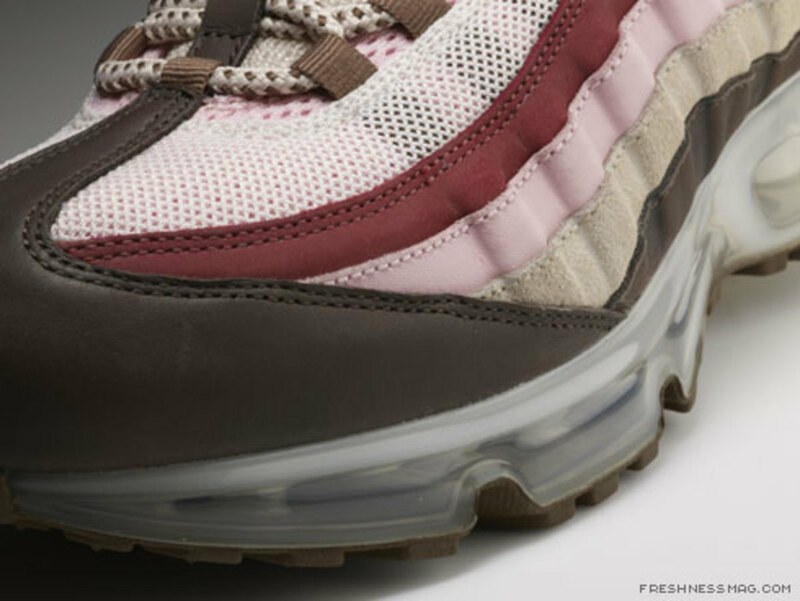 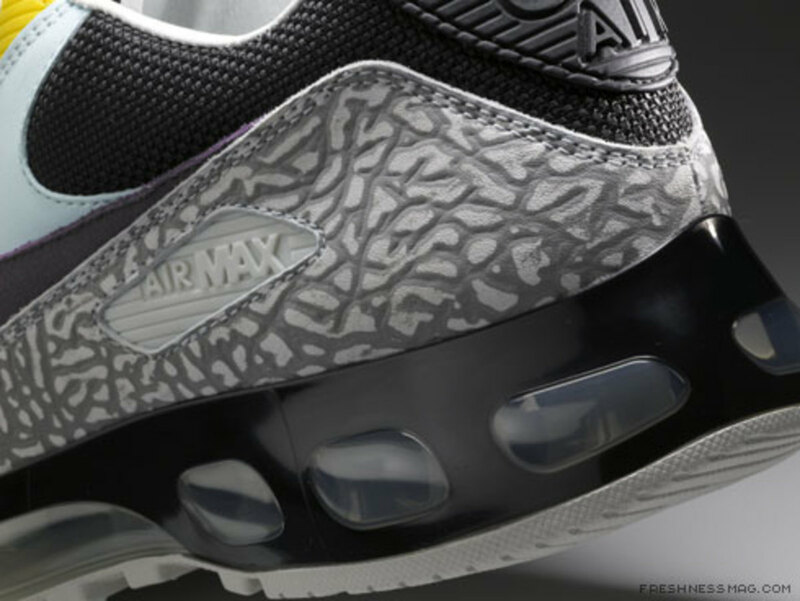 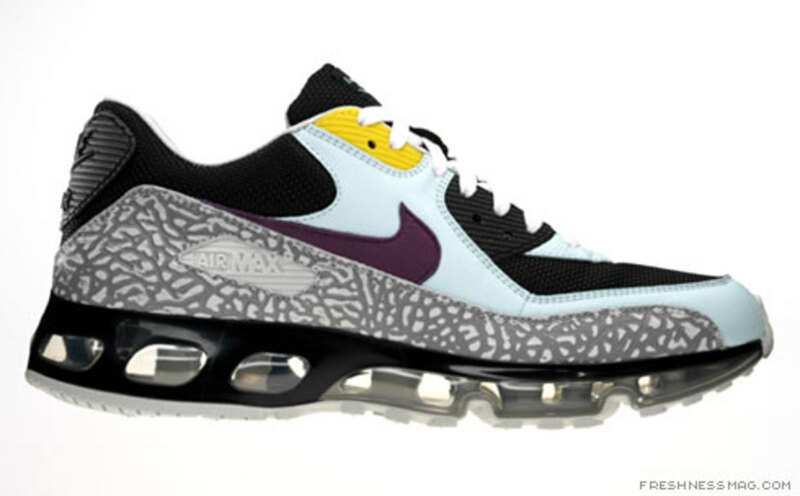 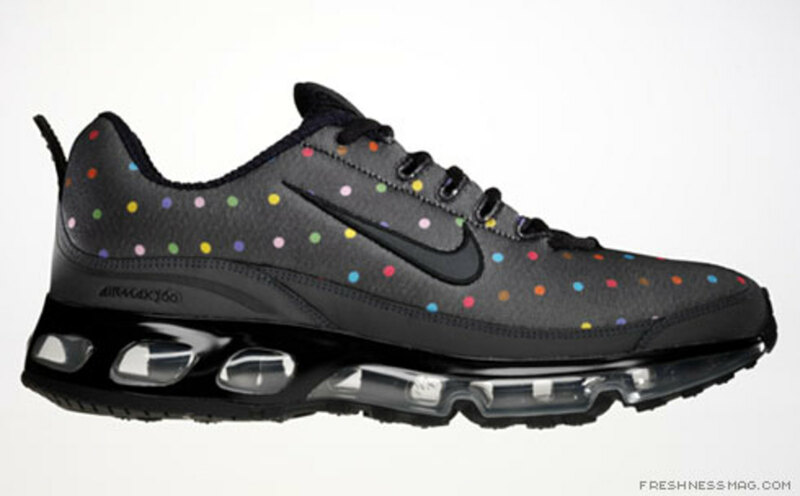 The Air Max 360 sports a totally new make up; a multi-colored polka-dot treatment was fashioned to decorate the upper.